Motorola Talkabout Batteries vary widely in their amps but one thing is for sure, they all pack a punch for the size and weight. One of the more popular batteries commonly in use is the KEBT-071-D Battery. This battery is used in over 60 different Talkabout Radios. We have found that the Voltages all remain the same 3.6 volt but the amperage ranges from 600 mAh to a whopping 1500mAh. Amperage is pretty important to those who use their radios on a regular basis such as department stores, stadiums and places that need regular communication between workers. The Motorola Original KEBT-071-D comes with the lowest amperage where the Command Tac KEBT-071-D comes with the highest amperage topping out at 1500 mAh. The prices vary as widely as the amperage. We found places selling these as low as 3.99 to as high as 17.99. In testing both the Motorola Talkabout Battery and the Command Tac KEBT-071-D battery to see what the actual difference was in overall performance. The Command Tac Battery run time was over 3 times longer than the Motorola Original with a much lower price of only $7.99. The best value is the higher milliampere battery with the best price. We used the people over at PoliceStation.com to provide us with some price comparisons on the KEBT-071-D battery. Motorola RLN4941A Listen Only Surveillance Piece. The Motorola RLN4941A single wire listen only ear piece is the first choice for many people who want discrete communication. 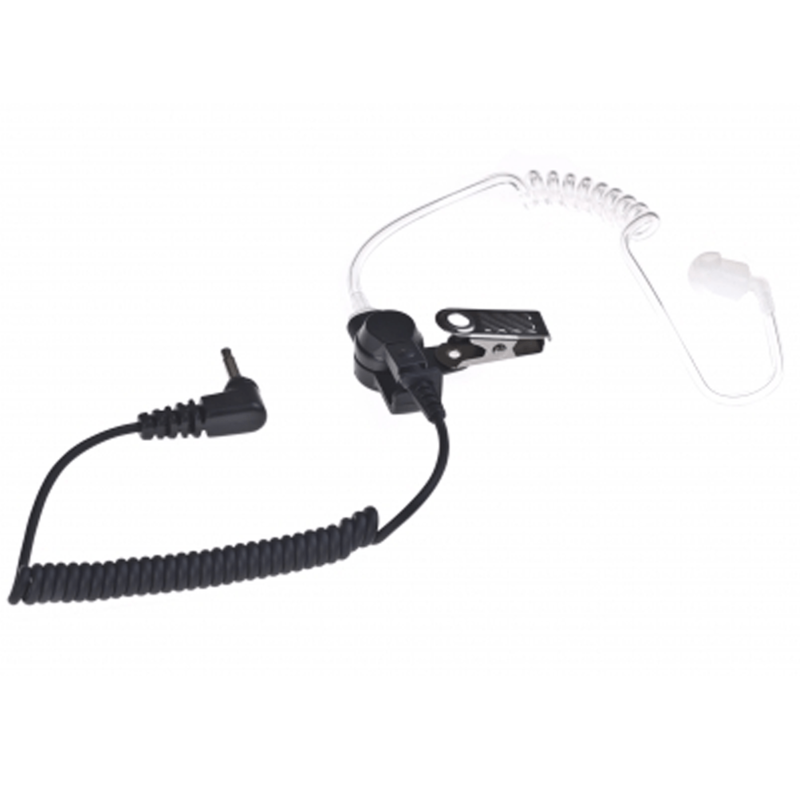 The RLN4941 has a clear ear tube that helps to keep the unit virtually undetectable. There are several options including mushroom tips, small medium and large ear molds that are available. This gives you the ability to choose what is the most comfortable for long wear. There is also several replacement brands available but only one brand that we have tested held up to the quality of the Motorola Original RLN4941. Command Tac RLN4941 out lasted the Motorola Original in our field testing. 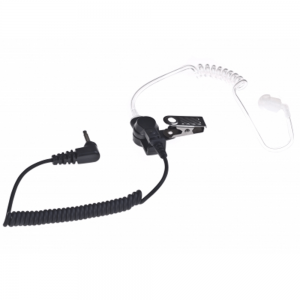 We have also found that the Command Tac RLN4941A comes with an extra ear tube included at about a third of the cost. Motorola has long been known for making outstanding surveillance pieces. The PMLN6129A is just another notch in their belt giving them the leading edge. Along came Command Tac who has decided to out do the Motorola Original with its own version of the PMLN6129A. It is known as the CTLN6129A. It comes in at around half the cost of the Motorola Original, we don’t expect that to last long. As the demand goes up for the Command Tack PMLN6129A you are most likely going to see the price rise also. The nice thing about this surveillance piece is it has its own PTT with a direct connect to your radio. This makes the use of a speaker mic obsolete. It also comes with a clear coiled ear tube which can be worn discretely if you would like. As with all Command Tac products you are going to see their quality meets or exceeds the Motorola OEM versions. This is going to create real competition in the market. The Motorola NNTN4497 the favorite battery used by owners of the CP150, CP200 and CP200D Radio owners. The original NNTN4497 has been revised over the years yielding new part numbers for each new improvement. The original battery known as the NNTN4497AR which was 1800 mAh, then came the NNTN4497AR which featured 1950 mAh. The newest version NNTN4497CR Battery which comes with a whopping 2190 mAh. But if you want even more talk time you can find the replacement battery for your CP150 Radio or your CP200 Radio or CP200 Radio you could choose the Command Tac heavy duty battery which carries an astonishing 2500 mAh. All of these Batteries come with the standard 1 year warranty but for my money the Command Tac is by far the best buy. The CP200D is the latest version of the CP200 Series Radios and the Command Tac will provide the longest talk time on the market. You can see the Command Tac NNTN4497 battery here. The Motorola NNTN7034B battery: Also known as the NNTN7034 and NNTN7034A is a RUGGEDIZED Battery. This battery is the long version battery which allows longer run times. These come in a variety of Amperage depending on if you go with the Motorola Original or a replacement Battery. The factory NNTN7034B comes with 4200 mAh while you can get replacement NNTN7034B batteries with 4600 mAh. From our testing the replacement batteries save money and provide a long lasting battery without sacrificing quality. Whether you by the Motorola Original or Replacement NNTN7034 battery you are getting quality, time tested batteries. They are designed to fit the APX 6000 Radio, APX 6000 Li Radio, APX 6000 XE Radio, APX 7000 Radio, APX 8000 Radio, SRX 2200 Radio. The Streamlight SolarStream is a vehicle charger that mounts on top of the patrol car. It delivers a low rate maintenance charge to the car battery during the day. It is a thin silicon, solar panel that helps to counterbalance the car battery drain from the computer system and other electronics when the car is shut off. It is designed to connect directly to the car’s battery. It will supply the vehicle with a 14 watt additional capacity. It produces up to 950 milliamps of current to the battery. It keeps a trickle charge in low sun and also in cloudy conditions. The Streamlight SolarStream, which has an adhesive back panel, is directly connected to the vehicle’s battery. It has been tested for wind resistance up to 120 mph. It minimizes the need to continuously jump start a car. Over time, it will pay for itself by eliminating dead batteries and extending the battery life. It comes with a fuse holder and a fuse that automatically shut off power from the solar panel if the cord gets impaired. Dimensions; Length: 40.88 in. (103.8 cm). Width 13.07 in. (33.2 cm). It weighs 1.3 lbs. (0.6kg). The length of the cord is 20 feet (6 meters). The Streamlight Vulcan Series offer a powerful light source in a compact size. They are rechargeable, durable and fully safety approved. The Vulcan is a lightweight, durable lantern that produces a powerful beam. It is waterproof, and practically unbreakable with its strong ABS thermoplastic casing and rubberized impact bumpers. Its grip handle is comfortable with a rubberized cushion. 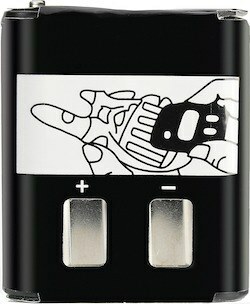 The toggle switch gives the user easy access with or with out gloves. The quick release shoulder strap allows you to go hands-free. The battery can be recharged up to 500 times, the red and green LED’s indicate the charge status. Each full recharge provides a run time of 3.5 hours while delivering 150 lumens / 80,000 candela with an 8 watt halogen bulb. Available in bright yellow or international safety orange. The Vulcan Dual Filament System 8 watt safety bulb offers instant back-up beam. It provides 157 lumens / 70,000 candela, with a continuous run time of 3.25 hours per charge. The strap is very functional for hands-free operation. Features a grip handle that has rubberized cushion. It also has a quick release shoulder strap. It has a 3 position toggle switch for easy use with or with out gloves. Maintenance free 4.5 amp-hour sealed lead acid battery is rechargeable up to 500 times. This light has a rubberized impact frame and virtually indestructible case, and is also waterproof to 100 feet. It comes in international safety orange or bright yellow. The Vulcan Vehicle Mount System offers the same features as the standard system. In addition, it comes with a vehicle mountable 12V direct-wire charging rack. The Streamlight Waypoint Rechargeable Flashlight is perfect for camping, night fishing, going off-road, and at home. It is also the perfect light to have for unfortunate situations like break-downs/flat tires, etc. It is equipped with a cushioned pistol-grip, making it easy to grab and maneuver. The Streamlight Waypoint Rechargeable Flashlight is compact, lightweight and has a very durable feel to it. The end of the light and its handle is rubberized, which adds more durability to it. It has great range and is extremely bright. It puts out an excellent beam for its size, and also gives a flood around the spot for great peripheral lighting. It has a trigger-style switch for quick and easy access. The Streamlight Waypoint has three level of brightness. You will find it plenty bright on level high for all your high powered spotlight needs. On high, it delivers 1,000 lumens / 115,000 candela peak beam intensity, with a beam distance of 2,224 feet and a run time of 3 hours. Medium level produces 550 lumens / 60,000 candela, with a beam distance of 1,607 feet and 6 hours of run time. Low setting is about as bright as a regular flashlight. It’s good for walking on a dark road. And also it doesn’t overpower (blinding) others if its being used around the house. Low setting delivers 35 lumens / 10,000 candela, beam distance of 656 feet and a run time of 80 hours. 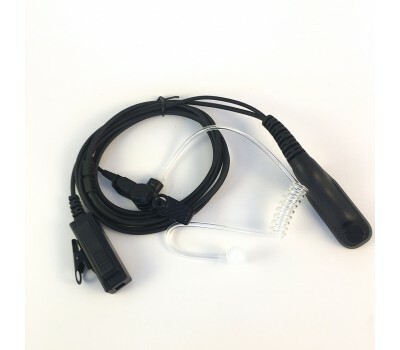 It is equipped with an adjustable lanyard, and a built-in stand for accurate on-scene lighting. Other features include C4 LED technology, and an indestructible polycarbonate lens. And the IPX8- rated design floats, and it’s waterproof up to 6 ft. It is powered by rechargeable lithium ion battery, and can fully recharge in 4 hours. Available in black or yellow. The Streamlight Survivor LED is designed for firefighters/rescue workers, and also anyone else who finds themselves in a harsh worksite situation. It is very safe to use in and near hazardous and flammable gases, liquids, etc. It is a very bright, dependable and completely durable flashlight. It produces a very tight, narrow beam for penetrating thick smoke. The Streamlight Survivor LED is equipped with a deep, smooth reflector for concentrating the beam into a small, bright central location. Also, there is enough light in the beam to see the surrounding location. This flashlight has 4 modes. The thick rubber push button on the top is easy to find blind, and also easy to use when wearing gloves. Press and let go for level high, press again and hold for low, press again and hold for flash. To get moonlight mode, simply turn the light on and then hold the switch down through the high, low and flash settings. After 5 to 8 seconds, it will go into moonlight mode. Level high produces 175 lumens / 36,000 candela, with a beam distance of 1,243 feet and a run time of 3.5 hours. On low, the Streamlight Survivor LED puts out a bright light and extended run time. It delivers 60 lumens / 12,000 candela, its beam reaching 718 ft, with a 13 hour run time. Flash mode is great if you have to get someones attention. It flashes at a rate of around 2 flashes per second, and has a run time of 8 hours. The moonlight mode is terrific for general use in dark conditions. It supplies a low level light, and has a run time of 20 days. It features a spring clip on the back, so you can attach it to your jacket and have a forward facing light. The clip is very easy to find and use, even with large gloves. The casing is a thick polycarbonate, with O-ring seals at the bezel and battery compartment door for water resistance. The indestructible, scratch-proof lens keeps the light shining flawlessly. It can run on 4 ‘AA’ cells, or rechargeable battery pack. The Streamlight Fire Vulcan Series offer a heavy duty, waterproof, strong beam and rechargeable lantern. They are lightweight and compact, so you don’t have to worry about them rolling around. With its extreme brightness and exceptionally long run time, they are the perfect solution for fire departments and law enforcement. They come in very handy in emergency situations, on the road and also at home. The Fire Vulcan LED is lightweight (1.85 lbs), easy to hold and very dependable. It is the brightest rechargeable lantern in its class. C4 LED technology. It comes with 2 levels of brightness. You can select the level of brightness with toggle switch. On the high setting, it delivers 145 lumens / 80,000 candelal Its beam distance is 1856 feet, with a run time of 3 hours. On the low setting, it delivers 70 lumens / 40,000 candela, with a run time of 6 hours. The blue tail lights will increase visibility from behind, even in thick smoke. Runs on 2 lithium ion nanotechnology cells, that recharges in 5 hours. Features quick release buckle strap. The Fire Vulcan features a high intensity halogen 8 watt spot bi-pin bulb. It also comes with 2 very bright blue LED’s located on the back of the lantern, allowing your coworkers to follow your lead, even in thick smoke. The toggle switch activates strobe or steady modes. It offers a steady mode, with a run time of 3 hours (LED and halogen bulb). Blinking mode, (LED and halogen bulb) have a run time of 6 hours. Blinking mode (LED only) has a 60 hour run time. It weighs 3.3 lbs. Powered by 6V, 4.5 Ah rechargeable battery, which can be recharged up to 500 times. This also comes with a quick release buckle strap. The Fire Vulcan Vehicle Mount System has the same features as the Fire Vulcan. In addition, it comes with 12V DC vehicle mountable direct wire charging rack.